What happened with the ping pong balls? 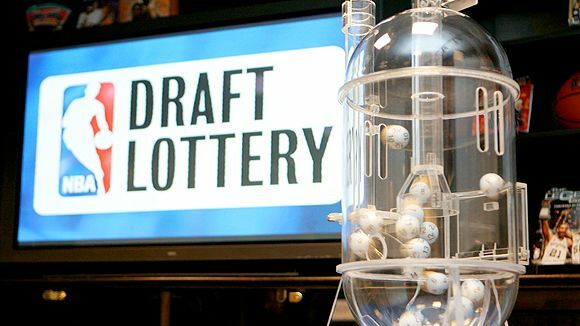 Last night the NBA (National Basketball Association) held it’s 2008 draft lottery. There are 30 teams that compete in the NBA. When the regular season is completed after playing 82 games, 16 teams make the playoffs and the remaining 14 head off to the lottery. You really have to be miserable when more than half of the teams in the league make the playoffs and your team does not. The team with worst record in the 2007-2008 season, the Miami Heat, had a 25% chance at having the first pick in the draft next month. The team with the 14th worst record, the Golden State Warriors had a 0.5% chance of getting the first pick. Behind the scenes, a random drawing is held to determine the top three picks in the draft. After the top three are figured out, the remaining 11 teams are slotted in reverse order based on their record of the just completed season. With only a 1.7% chance of getting the first pick, the Chicago Bulls defied the odds and will select first during the draft on June 26th in New York. The Miami Heat wound up with the second pick followed by the Minnesota Timberwolves. That’s enough ping pong ball discussion until I pick the favorites for the gold medals during the Olympic ping pong competition later this summer from China. Just kidding. Now you can enjoy your Big Mac for lunch! Who do you think will be the first pick? Beasley? Rose? Mayo? That’s the fun part, then seeing how much dollars it takes to sign them makes you sick. I would go with the point guard if I was Chicago. Beasley will be great. I’m not so high on Mayo, but he has a huge upside also.